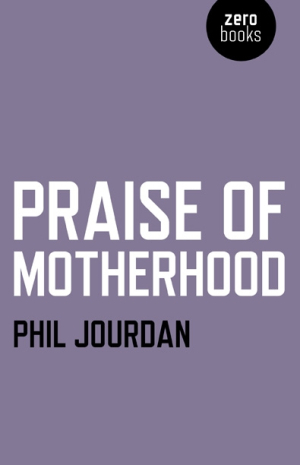 Phil Jourdan’s memoir, Praise of Motherhood, is a small book that makes an enormous impact. Jourdan writes about his mother and their relationship, covering the territory from his teen years to his early twenties and her sudden, unexpected death. He writes as though he is desperate to capture the essence of the woman who raised him, and his profound love for her reverberates throughout his story. Jourdan’s book is both self-revelatory and immensely sad, circumspectly illustrating not only the complicated love of a child for a parent, but also the incomparable, horrible sense of loss that follows the death of a loved one. Jourdan is painfully honest and open, and his willingness to be so vulnerable gives Praise of Motherhood the very soul that makes his tale so emotional yet relatable. Jourdan describes himself as a difficult teen. His mother, Sophia, was always there for him, without fail. Never judgmental, and reliably and patiently supportive, she saw him through not only the typical angst and anger of the teenage years, but also “depression that would later bloom into psychosis,” including severe psychotic episodes that required hospitalization. Sophia remained calm while forever on call, acting not only with tolerance, but also understanding. “Being miserable when you’re thirteen, fourteen, is perfectly legitimate,” Sophia tells her son. “Something’s happening inside you that is unpleasant and horrifying,” and “there’s no such thing as being perfectly balanced.” Neither condescending nor coddling, she helps keep Jourdan afloat, giving him a perceived sense of independence wherever possible, but also calling his school weekly, unbeknownst to him, to check his progress. In short, she gives him the compassionate encouragement he needs in order to become a fully functional adult. Praise of Motherhood contains very few outside characters, and those who do appear are merely superficial players in Jourdan’s story. His is a dedicated focus, and he refuses to be detoured in his account of what his mother meant to him. That Sophia comes across as a wonderful mother and a wise, generous, and extremely intelligent person, while the author himself sounds like a self-absorbed, highly self-critical brat is no accident. This is exactly how the son saw both his mother and himself, and his message comes from a place of deep grief over her loss. The tribute he gives her here is beyond what most parents expect, but it is an homage that most would be honored to receive. Praise of Motherhood is a well-written tale of true love and devotion, and Jourdan’s soul-baring is an emotional inspiration. The author’s feelings come across beautifully, and his story is both surprisingly candid and sad. Very relatable and raw, intellectual and heartfelt, but certainly not an easy read for anyone who has suffered a recent loss.